The Great Big Bertha Epic driver from Callaway Golf caused a flurry of comment on the Internet and in club rooms around the country for a simple reason…its construction is unique. When I received the advanced information and specifications for the Epic prior to the official announcement, I wasn’t an enthusiast for the name. Nor am I now however, there no denying the construction is unlike any other on the market so I think we can allow Callaway some license to call it what they want. Actually I’m told Epic was the code name used during development and it stuck. 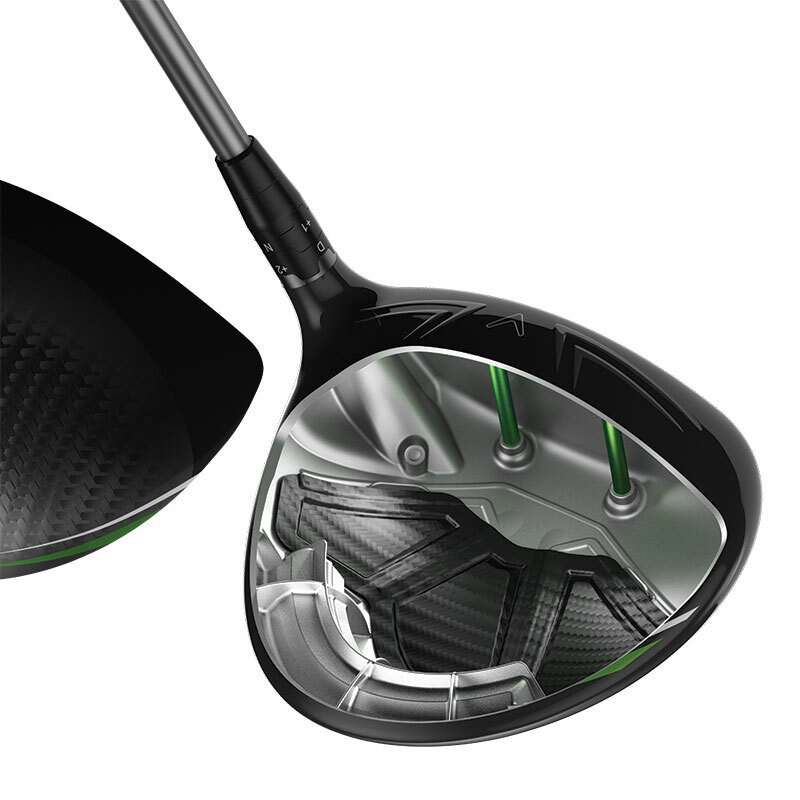 The club body is a titanium skeleton or “Exo-Cage” with the areas between the “ribs” filled by carbon fiber. Included are the crown plus three sections of the sole so the Epic clubhead’s surface area works out to 46% carbon fiber. This says Dr. Alan Hocknell, senior vice president of research and development, creates a light yet stiff structure leaving lots of weight which can be redistributed to alter the curvature bias of the ball. To provide for a draw or a fade shot tendency Epic has a 17-gram sliding weight at the rear of the sole which according to Hocknell can adjust the ball curvature up to 21 yards. That of course goes a long way in straightening out most any slice. To maximize performance Callaway also recognizes the importance of the correct shaft so with the Epic they offer a choice four stock shafts in four different weight categories. A very nice feature that can mean having a driver that “works” or not and may be a significant cost savings over buying a non-stock shaft. The Epic comes with a choice of basic lofts–9 degrees, 10.5 degrees and a HT model of 13.5 degrees. Settings on the hosel can adjust that loft from two degrees more to one degree less and there’s also a setting for a draw or neutral lie angle. T he GBB Epic tested was a 10.5 degree model with a Project X HZDRUS T800 shaft the standard 45.5 inch length and from the very first swings on the range it was apparent Callaway has a winner. Though the shaft was one inch longer than my current driver, contact was solid and trajectory (after adjusting the loft to 11 degrees) was exactly what my swing should produce. Distance was as good as any driver we have tested but the most important fact is that on my usual towards-the-toe miss the ball still went almost the same yardage, though of course exhibiting a fairly pronounced right to left hook. As the Epic became more familiar the forgiveness exhibited swing after swing makes it an unqualified winner. 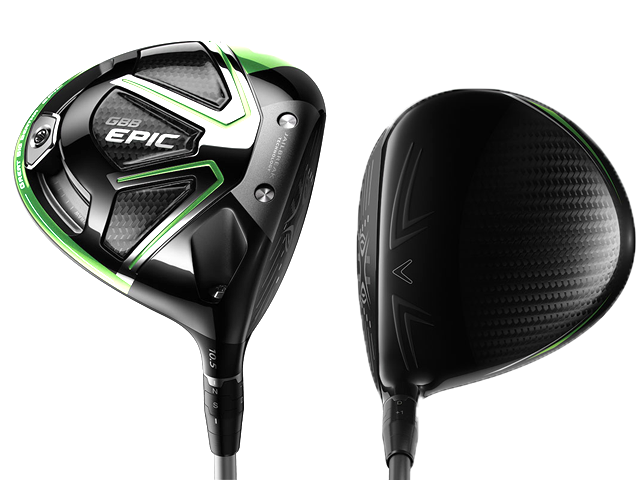 Negatives: Epic’s price of $500 mandates a club fitting by a qualified fitter. This makes good sense even though there may be an additional cost. The stock shafts may be too long for some, especially slower swing speed players, and those with pronounced slices so it might be a good idea to consider trimming the standard length. With the lie angle setting at neutral, some who tried the Epic thought the face looked like it was slightly open. This was not actually true, only what it looked like, but this may be a concern for some potential purchasers. Everyone commented on the impact sound though truthfully after a couple of rounds it didn’t bother me. It is a harder or perhaps sharper sound and certainly distinctive from any other driver. Recommendation: Put the Great Big Bertha Epic on your short list. 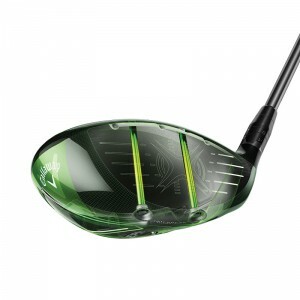 It’s a premium driver that stands out in comparison with others in its class for both its construction and most importantly forgiveness. There’s a low spin version without the sliding weight but with two interchangeable sole weights called the Epic Sub Zero also priced at $500.